Mild meniscal tears and moderate knee osteoarthritis send some people under the knife, when all they really need is physical therapy. A recent study in the New England Journal of Medicine found no significant difference between individuals who received surgery and those who received physical therapy alone, thus avoiding the unnecessarily invasive procedure and related costs. 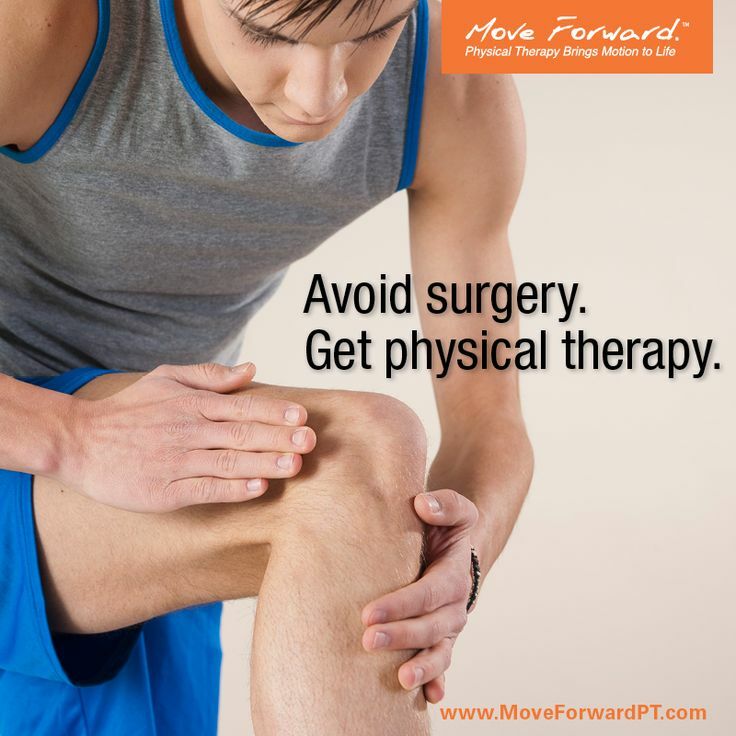 Dr Edward Laskowski, codirector of the Mayo Clinic Sports Medicine Center, told Men's Journal that physical therapy might prove equally effective for other knee injuries, including MCL, PCL, and cartilage tears (Try Physical Therapy Before Surgery - April 29, 2013). "If you have good range of motion, physical therapy may very well settle down the symptoms over time," Laskowski said. In a May 2, 2013, episode of Move Forward Radio, the lead physical therapist in the trial discussed the findings of the study. Learn about physical therapist treatment of meniscal tears and osteoarthritis of the knee.